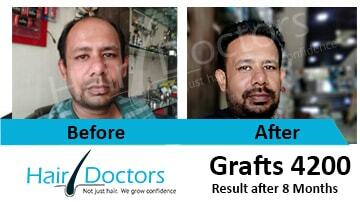 Nowadays, People in Delhi are visiting Hairdoctors.in to have hair transplant treatment. The numbers are growing and the reason can be many, depending on the circumstances, lifestyle, and family's medical history that result in hair loss and other hair related problems. Hair Transplant in Delhi can be a costly affair depending on patient's medical condition. Hair Loss treatment is the solution to refueling yourself with confidence as hairs add charisma to our overall personality. Did you know? A lot of people under 30 are facing baldness issues and its growing day-by-day making it a worrisome problem. Thanks to medical advancements, Hair Doctors has solutions for your hair problems like special hair loss treatments, FUE Hair Transplant, FUT Hair Transplant and so on Hair Transplantation surgeries to help you look good and rebuild your confidence. Until you don't lose all your hairs, there are many medical methods that can help you prevent the hair loss further and restore the hair grows back to the normal. It's not an easy task as it may seem. We have to treat your medical history including family's medical background thoroughly and pin-pint the main factors that are actually causing the hair problems in your body.Read More..
We have heard a lot of horror stories how people suffering from baldness gave in to depression because it restricted them to a limited social life, and many of them failed to find a suitable life partner, either. Hair loss is not treated can make you bald and can really give you a trauma to deal with throughout your remaining life. Some people lose hair due to genes, while most people suffer hair loss due to excessive hair styling; i.e., they use harsh products on their hairs that affect them negatively and they tend to hurt their hair scalp resulting in hair fall. Not every hair products are for everyone. Since ever person's body is different, it's better if they use the products recommended by the dermatologist after examining their hair conditions. Moreover, there are those people too having healthy and thick hair with perfect hair growth even though their fathers are bald. As mentioned earlier, there are many factors in hair loss, and only real dermatology experts can guide you better. 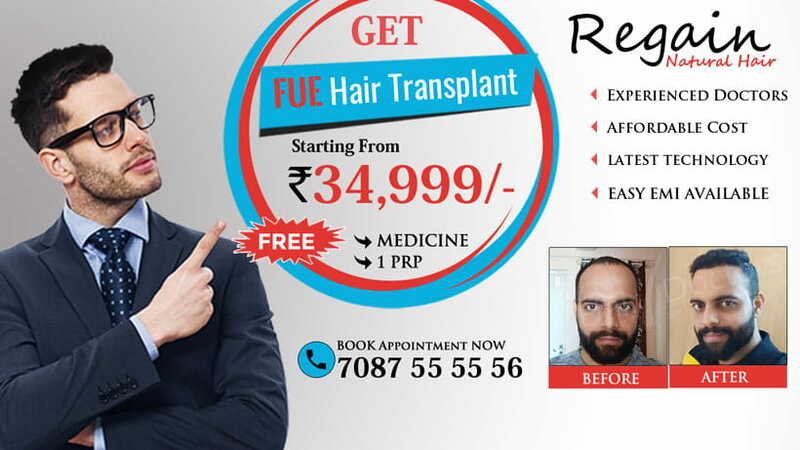 Hair Doctors offers easy EMI options to people in Delhi who can't afford expensive treatments like FUE, FUT, Body Hair Transplant, and Gigga sessions. We serve people of all age groups. Hence, don't waste time and book your appointment before it's too late for you to recover your hair loss. To completely ensure high grafts yield having transaction rate less than 5%. 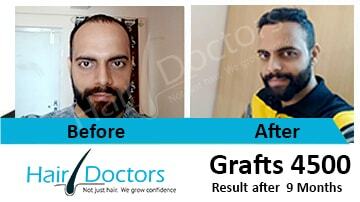 To create perfect hair line and to attain complete natural look. 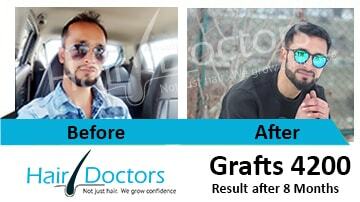 We believe in business transparency and charge for grafts that are fully extracted. 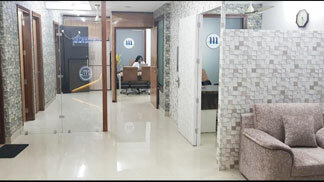 We have a team of certified and highly trained doctors. 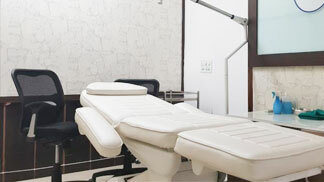 We do painless treatments and bring minimum discomfort to our patients during the medical process. 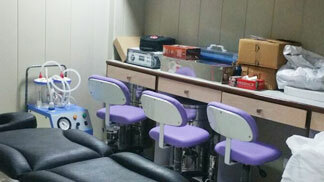 We strictly adhere to cleanliness, hygiene, and safety. 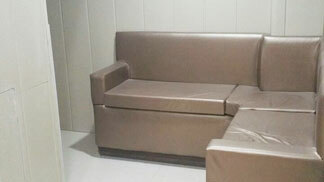 These things reflect in our clinic. FUE hair transplant – We advise this method only after doing a proper examination of your scalp, including your medical history. Giga sessions – We are an expert in using up to 4000 grafts in Giga sessions. It's a feat that very few hair clinics achieve. FUT hair transplant – We take different medical approaches to hide the scars and marks underneath your hair growth area to help radiate your electrifying personality and to personalize your beauty as the way you want. Body hair transplant – We do the extraction of grafts from the different parts of the body like legs, beard, or chest when the donor area of the patient is not healthy. 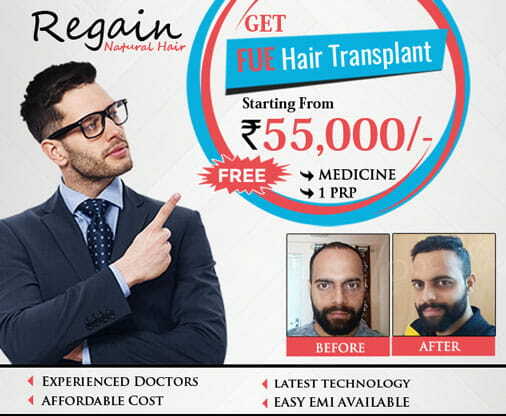 Disclaimer: Please NOTE that the above quoted hair transplant/PRP Therapy cost is just an indication for the cost in Delhi.